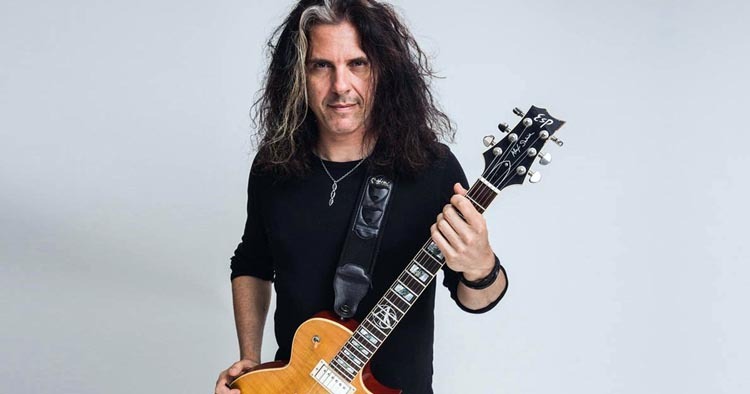 When most people think of Alex Skolnick, thrash metal generally comes to mind, having started in Testament over 35 years ago. But Skolnick has displayed skills in the prog-rock/metal of TSO and Savatage, as well as the groove metal of Metal Allegiance. He also did a stint throwing down the legendary straight-ahead heavy metal of Ozzy Osbourne. For about 20 years, Skolnick has been throwing down some wicked jazz with the Alex Skolnick Trio and even some world music on the Planetary Coalition album. It’s worth checking out AST’s covers of “War Pigs” and “Pinball Wizard”. Not even kidding. In the 80’s, Skolnick was associated with a couple of Ibanez models. Later on, there were associations with the Charvel San Dimas model and with the Heritage brand. All of which are tasty lumber. And those Heritage models he was playing are drool-worthy. Currently, Alex has a signature ESP singlecut model. And you know I’m going to give props to any player that uses a Floyd Rose on a singlecut – let’s hear it for our Canadian pals Alex Lifeson and Mark Day! 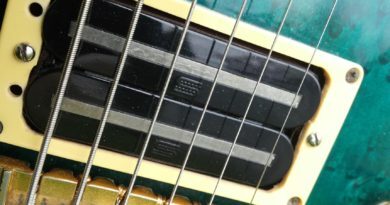 Skolnick signed on with the Seymour Duncan Company about 10 years ago, but had been already been using the JB Model in the bridge and the 59 Model in the neck. Then there was talk of a Signature Set starting as early as 2013. And there’s the probability that Alex has been getting his pickups made in MJ’s Custom Shop since he first joined the Duncan Company roster. And then finally in 2018, the Alex Skolnick Signature Set was released to the public. Another JB Model variant? Why… alright… let’s take a look! HaHa! I put the Skolnick Signature Set in my more neutral sounding test guitar. Wiring is connected to Bourns 500k pots and an output jack and 3-way toggle by Switchcraft. Tuning is E standard with 10-16 strings. These come with 4-con lead wire, so they are each connected to their own push/pull pot for series/split operation similar to what Skolnick uses. Hands down, this is a product-improved JB/59 set. And I do mean improved. The bridge is slightly overwound. 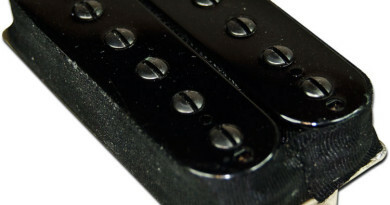 The neck pickup is either a variation on an overwound 59 neck, or a variation on a 59 bridge. The thing that’s going on that is a little impressive about this set is that you’re not getting the usual side effects of an overwound pickup. In fact, almost the opposite. Both pickups have clarity and a much more sensitive response than if you just went with the production floor counterparts. Looking at the wire via the inspection holes, it appears to be a wire with one of the thicker insulation options. These are techniques that Seymour has talked about that can reduce the distributed capacitance across the coil. Another side effect is how it details the high end, but let’s stick to the capacitance for a second. Tweaking the capacitance in that way has taken on a bit of trend in how people view scatter-winding the past several years. And I’ve mentioned that before, as well. Yet there’s more than one way to skin a cat. And in this instance, I’m liking what I’m hearing with this set. 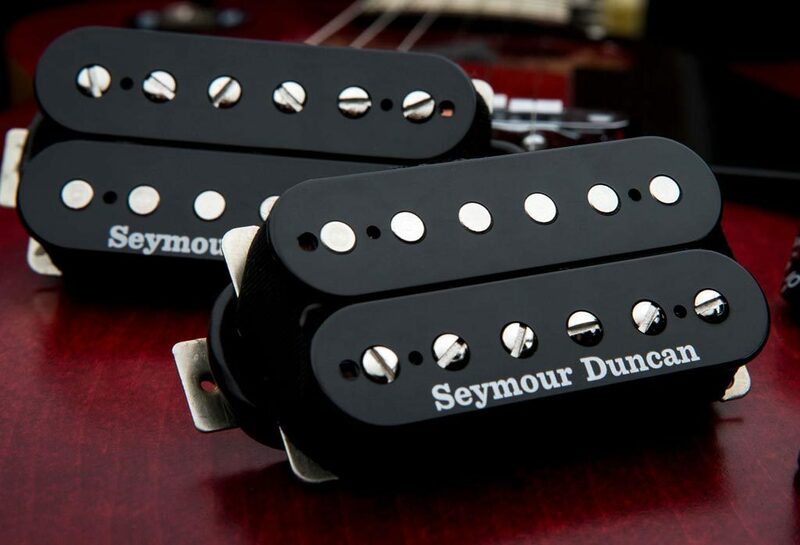 Across the board, with both pickups, lows are focused and responsive. No mud and no boom. The highs are clear and dialed-in to get precision in the neck and to avoid being shrill in the bridge. Dirty and clean tones alike are going to give out what you put in to them. Rolling back the guitar’s knobs will clean up well, but going to split is very workable. The sharp-eyed might notice something about that neck pickup. 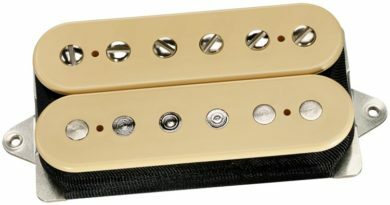 It’s practically identical to a 59 Model bridge humbucker. It is essentially a 59 bridge in the neck? Dimebag did that, for example. So… maybe there’s something going on there. Just sayin’. 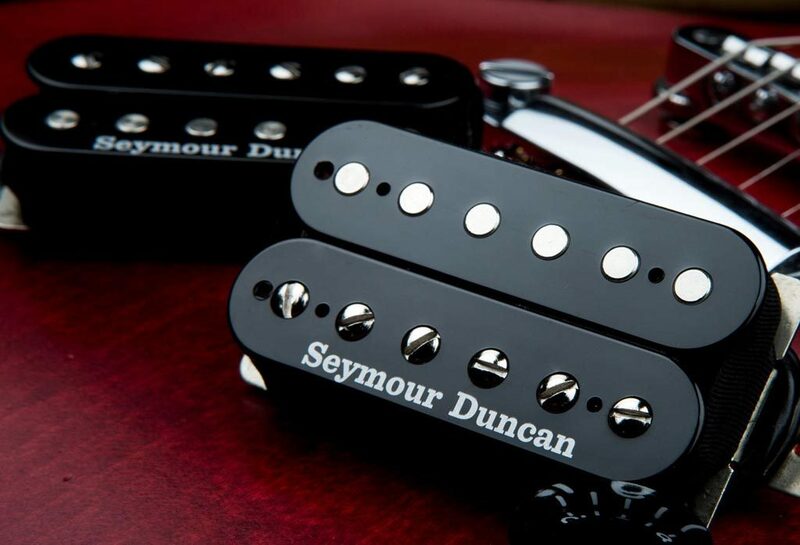 You can get the Alex Skolnick Signature Set pretty much any way that the Seymour Duncan Company offers. Just reach out to Custom Shop Manager MJ and let her know what you’re wanting. That’s totally her domain and she’s equipped to best take care of customers. For reference, this Seymour Duncan Custom Shop Alex Skolnick Signature Set evaluation was conducted with a Fractal Axe-Fx II XL+ featuring Celestion Impluse Responses and Fractal MFC-101 MIDI Foot Controller. Real cabs used were Marshall 1960B cabs loaded with Celestion Vintage 30s and G12M Greenbacks.